Arthritis in the hands can cause severe discomfort and pain that can be debilitating if you rely on your hands at work for example as a typist or anything that requires precision use of the hands. NuovaHealth presents an amazing new way in which you can regain control in your life and at work with our anti-arthritis compression gloves that help to ease and relieve the aches and pains associated with arthritis and carpal tunnel syndrome afflicting the hands. Our gloves are designed to apply gentle but sustained pressure and compression to the hands. The compression gloves works by way of an ergonomic 4 way stretch system that uses controlled compression to massage away pain. Compression gloves benefit you by controlling the fluid retention in the hands (oedema) that results in painful swelling. Our gloves help to reduce inflammation in the painful areas of the hand. Compression gloves are designed to be fingerless so you can easily touch and grip objects and so are ideal for work and they will stretch to fit your hand. Benefit from improved circulation and an easing of stiffness in the joints. Extremely comfortable and designed to be comfortable enough to allow for all day or 24 hours use even whilst sleeping. If you need the compression gloves to be worn all the time then we recommend you buy more than 1 pair for hygiene reasons. Machine washable, use them again and again. The gloves are made from 85% stretchable and breathable nylon and 15% spandex. The gloves are available in two sizes: Men’s or ladies. Use the Nuova Health Anti-Arthritis Gloves for relief of hand fatigue, cold hands, wrist and hand pain. 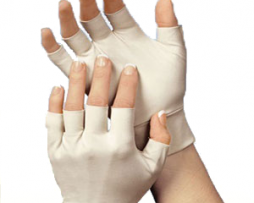 Compression gloves may aid with the neuropathy (nerve damage) of the hands and assist in improving circulation in the hands through gentle stimulation. Knee pain can be debilitating and stop you from leading an active life but it doesn’t always have to be this way. 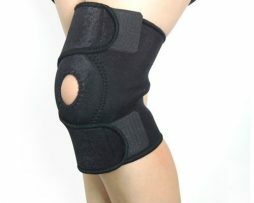 The Nuova Health adjustable knee support has been specially designed to provide comfort and support to a troubled knee. Made from the highest grade Neoprene for superior comfort, its purpose is to support an injured knee during recovery, relieve pressure and pain whilst also not limiting freedom of movement. 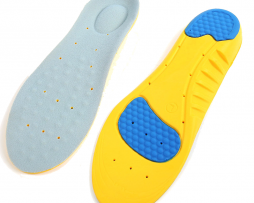 Our knee supports give you the chance to get up and go and enjoy an active recovery. Size: Fits all. 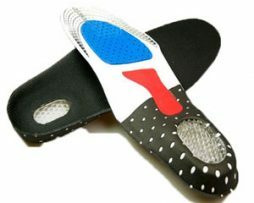 Adjustable with velcro strap.